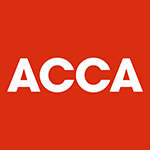 Preparing Annual Accounts is one of the tasks that all businesses must deal with. They are needed for the Tax Man and latterly the bank. Companies need to file them at Companies House for the public record. We like to take the stress and worry out of preparing the Annual Accounts for your business. As your Accountants, we can take the hassle away from you, which means that you have more time doing what you do best- running your business. We’ll make sure you know the deadlines and comply with all the regulations and we’ll let you know exactly what you need to do so that we can prepare your Accounts on time. We’ll also look for ways to save you tax and suggest ways to improve your systems or structure, which in turn will help you and your business achieve your goals. Our proactive approach is one that our clients seem to like and we think you will too. We can give advice on the most suitable form of legal entity when your business is in the start up phase; offer a same day company incorporation service; prepare and deliver Accounts for Sole Traders, Partnerships, Trusts and Limited Companies including periodic Management Accounts; training your personnel to improve the production and delivery of important financial information; and ensure you have an integrated Accountancy and Tax Service to guarantee the best possible advice to you, the client. Management Accounts can be a very important tool providing an invaluable insight into your business on a monthly or quarterly basis. Our Management Accounts service gives you the freedom to concentrate on what you do best- running your business, while we provide the essential financial information you need to support your business decisions. We have a team of specialists, ensuring that whatever your needs, we can meet them. We take a tailored approach to providing management accounts for our clients and our work can be as involved as you need it to be. For some clients, we liaise with their in house book keeper at each month end or when a query arises, providing that extra support only at times when it’s needed. For others, we provide a more comprehensive service, including producing bespoke reports, financial analysis and comparisons with the previous year or your budgets. We can also help identify the Key Performance Indicators (KPI’s) that are essential for your business, and develop ways to report on these, providing monthly reports on these indicators which help with the strategic planning for your business. We like to support our clients in the way that suits their business needs the best, we can even come and do a free appraisal of your business to find out which Management Accounts package is the best for you whether it’s SAGE Line 50, Pegasus, VT, Quickbooks or another type of package. We can provide you with meaningful information at a depth of detail and frequency that suits your business best. Our bespoke service gives you the valuable information you need to help your business succeed, at the times when you want it. To find out more about how we can help, contact is. >No more problems in recruiting and retaining competent accounting staff, or arranging holiday and sickness cover. Buying or selling a business, or bringing in outside investors, involves major tax issues. We can assist in keeping tax costs down by preserving tax reliefs when a business changes hands, obtaining tax relief for shareholders and minimising capital gains tax on disposal. 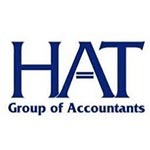 Our VAT team can assist in all areas of VAT compliance and consultancy, which includes Consultancy, Compliance (VAT returns, EC Sales Lists, Intrastat returns), Corporate Finance and Annual VAT Health Checks. The opportunity for tax planning can be considerable, and our knowledge can be used to identify tax savings from structuring personal wealth to reduce inheritance tax; planning remuneration and pension packages, making full use of allowances and reliefs and looking for tax-favoured investment opportunities. The Companies Act 2006 has removed the need for a company to appoint a Company Secretary. However, the tasks that a Company Secretary would undertake still exist. We can provide all the advice and assistance you need to ensure that you meet all the filing and administrative requirements in this area. At the simplest level this involves filing the Annual Accounts and Annual Return at Companies House. Other common tasks we can carry out include dealing with the relevant forms on appointment and removal of directors, and changes in registered office. On a more complex level this might involve changes in Share Capital or the rights attaching to shares. Almost any change in the structure or governance of a company will have requirements in terms of the required meetings, minutes, resolutions and filing of documents at Companies House. If you choose to take up this service with us, we can help make sure that all the decisions you make are put into place and that you comply with the guidelines and regulations. Failing to do so would result in your decisions not being realized. Our experience in this area means that you’re in safe hands and takes away the burden of some of this paper work. Contact us for further information about how we can help your business. We understand the need for owners and managers to spend as much time as possible running their business. Administrative tasks such as payroll are often treated as a low priority. 4. No more problems in recruiting and retaining competent accounting staff, or arranging holiday and sickness cover. 5. Our Payroll Service provides a quick turn round, complete service including payment by BACS, or credit transfer; statutory sick pay and maternity pay calculations; overtime and temporary staff payments, pension calculations; post tax adjustments to saving schemes, and end-of-year returns. Value added tax is one of the most complex and burdensome tax rules imposed on business that many businesses overpay or underpay VAT without realising. The ever widening scope of VAT, the continuous flow of detailed adjustments to the regulations, and the ever growing demands of Customs and Excise call for a trained professional Accountant to ensure that you do not fall foul of the regulations and do not pay the Exchequer more than you need to. At HGA, we have experts dealing in tax legislation, compliance and HMRC procedures. We understand the difficulty and stress an investigation can cause, with our experience and knowledge we will see you and your business through it. >We can also help you find the right bank, introduce you to a finance company and consider the benefits of leasing vehicles and equipment. >All businesses need to keep records. We can provide training and support on the most suitable computerised systems for you. >There are three common types of business structure - sole trader, partnership and limited company. We can help you decide which is the best option for you, and then achieve this in the most tax efficient way. >We can also help with your own tax and National Insurance liabilities, VAT registration, wages, National Insurance and PAYE, insurance cover and pensions. You may be required to have an audit legally. This will depend on various factors. You may consider having an audit even if you are not legally required to. 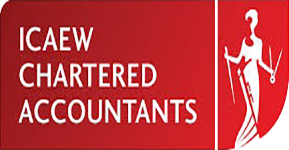 We are registered as Auditors and currently serving a number of clients from various different sectors and industries. We will work in collaboration with you or your in-house finance team, then investigate, test and report on your accounts in line with prevailing guidelines. Not only will the Accounts comply with all the up-to-date Accounting Standards (whether UK GAAP or IFRS), but our expertise can handle all sizes, from large groups to stand-alone companies. And you’ll know if there are some improvements that we can recommend that could help you run your business more efficiently and cost-effectively, including specialist tax planning advice. We can provide all the advice and assistance you need to ensure that you meet all the filing and administrative requirements in this area. At the simplest level this involves filing the Annual Accounts and Annual Return at Companies House. Other common tasks we can carry out include dealing with the relevant forms on appointment and removal of Directors, and changes in registered office. On a more complex level this might involve changes in Share Capital or the rights attaching to shares. Almost any change in the structure or governance of a company will have requirements in terms of the required meetings, minutes, resolutions and filing of documents at Companies House. If you choose to take up this service with us, we can help make sure that all the decisions you make are put into place and that you comply with the guidelines and regulations. Failing to do so would result in your decisions not being realised. We have been helping businesses for a number of years to start operations in UK and also UK businesses looking to expand internationally. Through our wide range of global contacts, we can offer a proactive and value added service that would fulfill all your business and personal goals. For businesses setting up in UK, we can also help them with the requisite immigration and visa assistance through our affiliate partners. Collectively we have decades of experience helping businesses with their compliance issues and also providing advise to help them achieve their objectives.